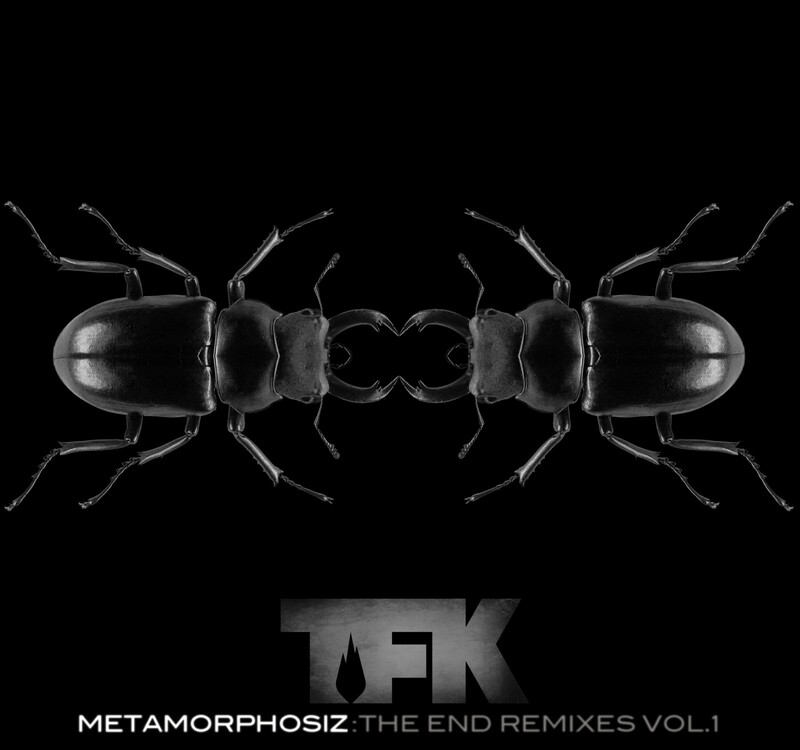 Modern rock favorites THOUSAND FOOT KRUTCH will release its first remix EP, Metamorphosiz: The End Remixes, Vol. 1, as an exlusive to digital retailers, including iTunes®, Amazon.com and others, on Dec. 4. The EP features 5 songs from the independently released, 5-star acclaimed and No. 1 selling Billboard Hard Rock album, The End Is Where We Begin, by noted remix geniuses Steve Sidelnyk, Rob Persaud, Robbie Bronnimann, Andy Hunter and Solomon Olds. 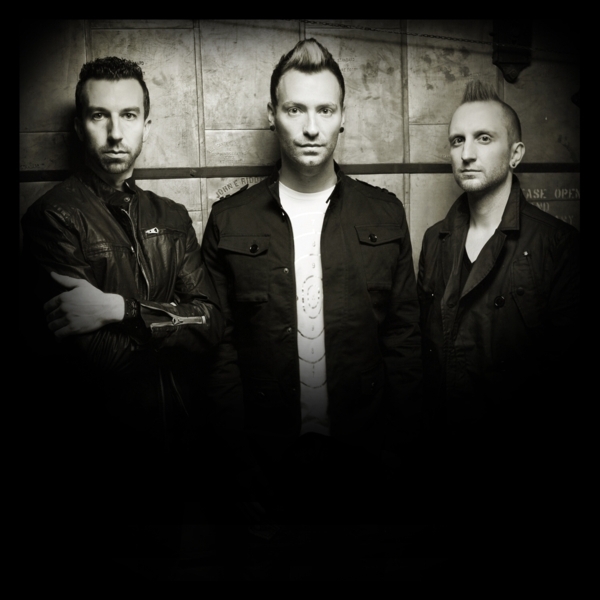 THOUSAND FOOT KRUTCH decided to offer the remix EP following the response the band received from two remix songs delivered to its fans for free via noisetrade.com last month and commemorating the success of The End Is Where We Begin, which hit No. 14 on the Billboard Top 200, their highest charting album to date. “You spoke, we listened. Because your response to the two free remixes was incredible, we’ve decided to makeMetamorphosiz: The End Remixes, Vol. 1!” exclaims TFK front man Trevor McNevan. The album tracks of one or more of these songs have been featured in a string of sports entertainment song placements, including ESPN (NASCAR, NCAA basketball), EA Sports NHL 2013 video game, WWE (“Over The Limit” pay per view event), L.A. Kings’ (NHL) playoff reel (http://ht.ly/aFciK) and as the NFL Tennessee Titans’ 2012-13“kickoff” song. As the band prepares to releases the remix EP, and as The End Is Where We Begin sales continue double-digit percentage growth over the band’s previous best-selling album, Welcome to the Masquerade, TFK’s second Active Rock single from the new album, “War Of Change,” gathers momentum. The song not only hit No. 1 on SiriusXM Satellite Radio’s Octane Big-Uns Countdown, but is also gathering airplay across the country at Active Rock and Alternative Rock stations like WBUZ-FM “The Buzz” (Nashville), WRBR-FM (South Bend, IN), KAZR-FM (Des Moines), WCPR- FM(Biloxi, MS) and KCXX-FM (Riverside, CA), the latter station playing TFK music for the very first time. Featured last summer on the Third Annual Rockstar Energy Drink UPROAR Festival and having receiving over 1,700, 5-star average customer reviews on iTunes® alone for The End Is Where We Begin, THOUSAND FOOT KRUTCHhas found that sometimes the best way to move forward is to go back to the basics, taking all of the raw energy and emotion of the past and channeling it into the present. For those who’ve been following the Ontario, Canada-bred players since their formation in 1997, it’s been a continuously escalating highlight reel that includes best-selling albums, top Active Rock hits (including “Fire It Up,” “Move” and “Let The Sparks Fly”), plus a slew of soundtrack slots. In fact, the group has literally infiltrated every facet of pop culture, from ongoing ESPN appearances, to various NASCAR, MLB, NHL, NCAA and NFL airings (including the 2010 Super Bowl), along with the “GI Joe” movie trailer, WGN-TV’s “Smallville” and EA Sports’ NHL 2010 and 2013 video games. All the latest tour dates and additional band information can be found at www.thousandfootkrutch.com,http://twitter.com/officialtfk and www.facebook.com/thousandfootkrutch, where the band has over 600,000 fans. This entry was posted in Classic Metal, Classic Rock, Heavy metal, Internet Radio, Metal, Music, Rock, Rock N' Roll, RockStar, Sleaze, Tattoos and tagged (The Bourne Legacy, 80's, Alias), Andy Hunter, “I Get Wicked (Andy Hunter° trip Mix)”, “Let The Sparks Fly (The Robbie Bronnimann Mix)”, “Light Up the Sky (Solomon Olds Remix)”, “War of Change (Andy Hunter° Remix)”, “We Are (Karmageddon Remix)”, Bleach Bang, Bleach Bangs, Bleach Bangs Radio, Canada, Canadian, Charlie Owens, Chicane, Christian rock, Classic Rock, DJD recordings, FM Static, Glam, Glam Rock, Hard Rock, Hawk Nelson, Heavy Metal, Independant, Joel Bruyere, KAZR-FM (Des Moines), KCXX-FM (Riverside CA), Madonna, Manafest, Metal, Moby, Music, Nicki Minaj, No Doubt, Nu Metal, Ontario, Peterborough, Randy Norris, Rap Metal, Rob Persaud, Robbie Bronnimann, Rock, Rock N' Roll, Rock Star, RockStar, Snow White and the Huntsman, Solomon Olds, Steve Augustine, TFK, The Drawing Room, The End Is Where We Begin, The Green Hornet, the Hellion, The Italian Job, The Matrix: Reloaded, Thousand Foot Krutch, Three Days Grace, Tooth & Nail, Trevor "Teerawk" McNevan, WBUZ-FM “The Buzz” (Nashville), Welcome to the Masquerade, WRBR-FM (South Bend IN). Bookmark the permalink.